18X24 acrylic on canvas, completed March 30th, 2019, by Jack Lee. All comments welcome. Note: The dust you see in the lower left of picture is from camera, painting is actually quite sharp and colors blend better too. Notice the tri-blade prop? See the shadow on the fuselage. There is a gun turret on the top, you can barely see the glass doom behind the wing. The second engine is barely visible below the fuselage. A machine gun hangs from the glass nose. I’ve darkened the olive drab as it moves from the nose to the tail for that 3D effect. 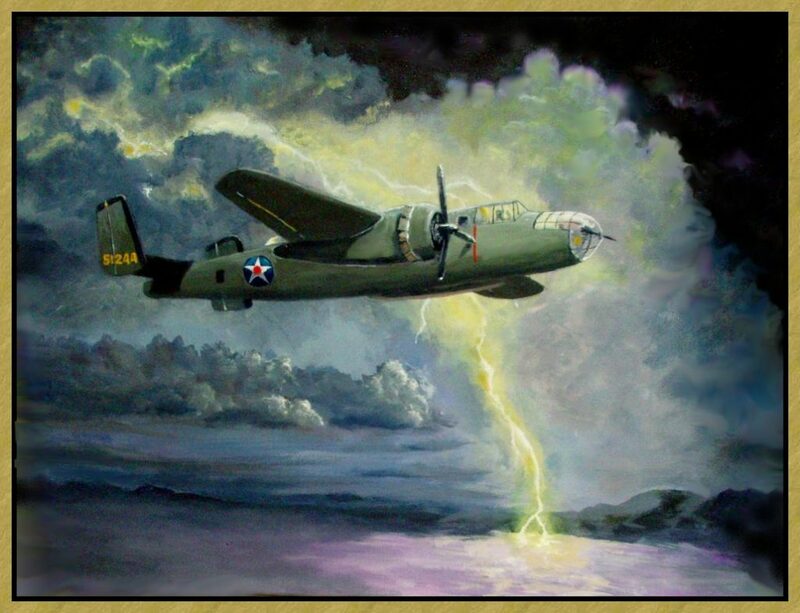 This entry was posted in Art and tagged B24, bomber, Jack Lee Art, Pacific storm. Bookmark the permalink.